With the frosting on these cupcakes you might blow over the limit 😉 Lovely chocolaty and boozy, the chocolate seems to really enhance the Ballycastle flavour. Add the Ballycastle to the mixture and beat. Don’t overbeat the mixture. Top with Ballycastle frosting by just beating everything together (careful with the icing sugar – it will spray unless you add slowly) and ENJOY! these look amazing! 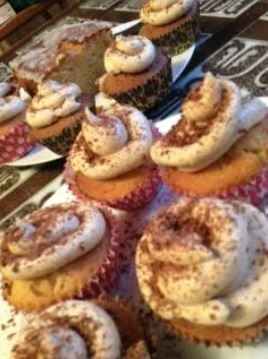 I haven’t tried the Aldi version of Baileys but I just posted a boozy cupcake recipe too #snap. Found your fab blog via Food bloggers Central Insta follow-a-thon.